Well hello! We are almost done with school here and all of us are pretty excited about that. I'm ready for two and a half months of no packed lunches. Yes! 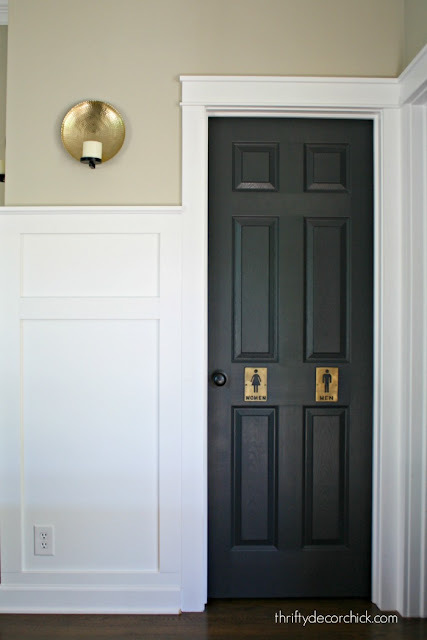 As I've been addressing certain areas of the house I've noticed that a few of my favorite pieces (and some I get asked about most here) are those that have a little quirk factor. I LOVE things like that -- to me that means something that may be a little old, maybe a little out of place with the rest of your decor. 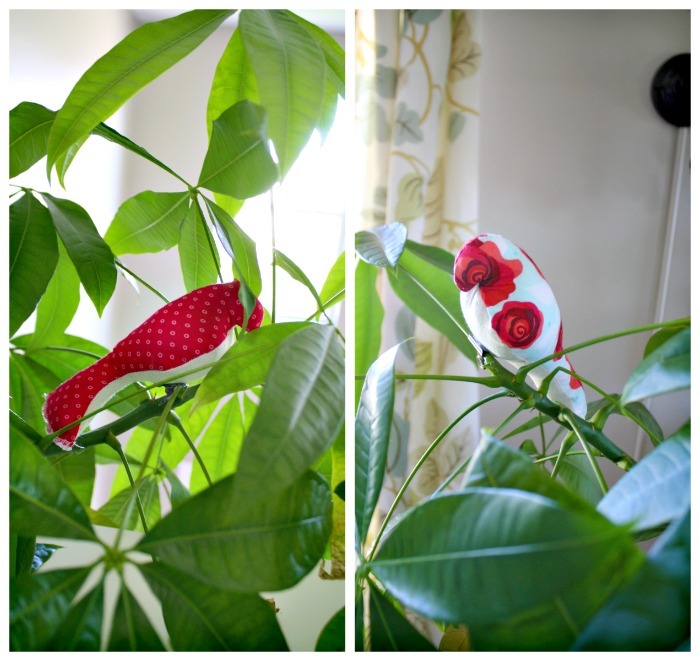 Or it can just be something totally fun and cute that add some whimsy to the house. Maybe whimsical is a better way of describing them? I think these items go a long way to making your house unique -- and that's the kind of stuff that gets me most excited about decorating. Actually -- there are a few things about this corner that I love. The utensil set is one, the dinner bell (found at HomeGoods) is another. 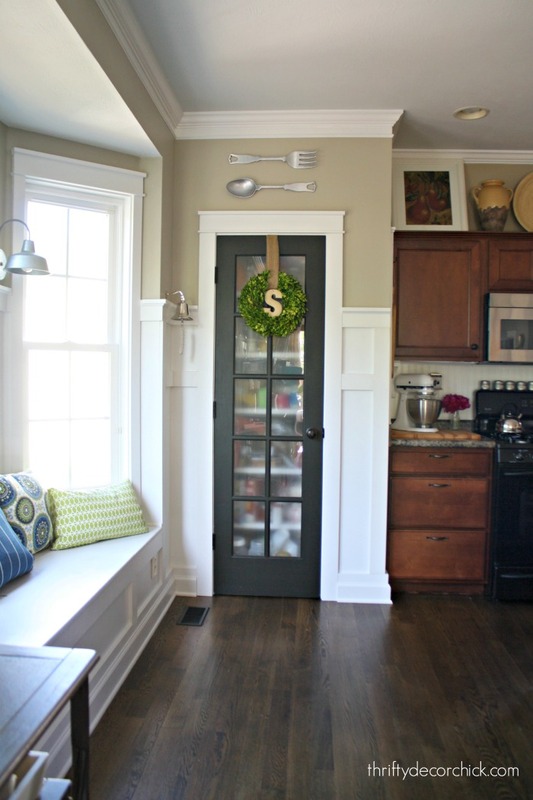 And the glass pantry is one of those little things that adds some character to the house. You can see more about that here and how I covered the glass here. I got them a local shop (here) and get so many compliments on them when we have people over. The bonus is people know exactly where the bathroom is! ;) Ha! They are nice heavy brass which I love too. They are a more modern addition but that's another thing -- don't be afraid to stretch your comfort zone a bit. I think that makes for the most interesting home. The elephants are in excellent condition -- I think they are probably in the top five favorite of purchases I've ever made. And aren't elephants supposed to bring good luck? I love them. I shared more about the nook here. A sweet reader sent the pirate metal art that sits above it -- again, one of those unique pieces that is really special to me. There's not a lot in my home that I get too upset about if it gets ruined (with four animals that's not rare) -- but if something like this were to break I would be a little heartbroken. Cute! I've found that a few things that I always keep up are a couple of crafts from my daughter and nephew. One is a cardboard circle that my daughter decorated with paper flowers to be a "wreath" for me. It's bee hanging on the floor lamp for years now. Another is a white construction paper dog outline with dot marker spots. My nephew made it in preschool for me and he is now almost 13. He was never into art and never made stuff, so it is really special that he made it just for me. It's on the door to the laundry room. I really love everything but especially the BookNook and the pig planter in the kitchen. It's true that the whimsical adds so much! I found a lovely wood cat crouching and it sits beside the rails of the steps leading upstairs. It takes awhile to see him, but he's perfect there. I love unexpected touches! Our mudroom decor is completely devoted to our dogs. We have a large print of three labs hanging there and a quirky hook for the leashes shaped like a chocolate lab. I am not an animal art type of person at all, but I love it. 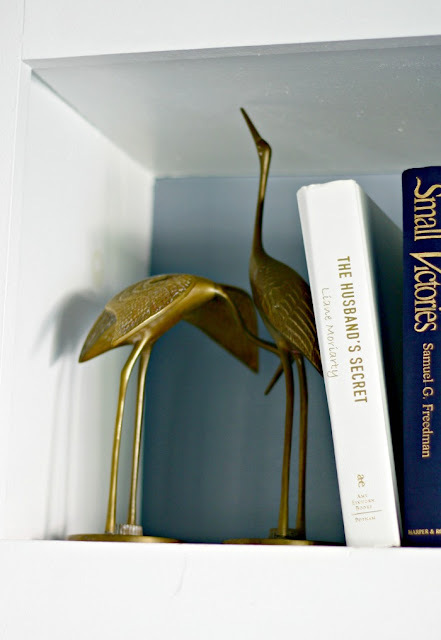 I also have a brass angel wing on a stand sitting on my bookshelf that I absolutely love. Love all of these! But I want to know what kind of plant you have in the pig. I love the way it is growing! I can't remember but I will try to find the name of it! It's a sweet little plant! Love all these quirky finds! 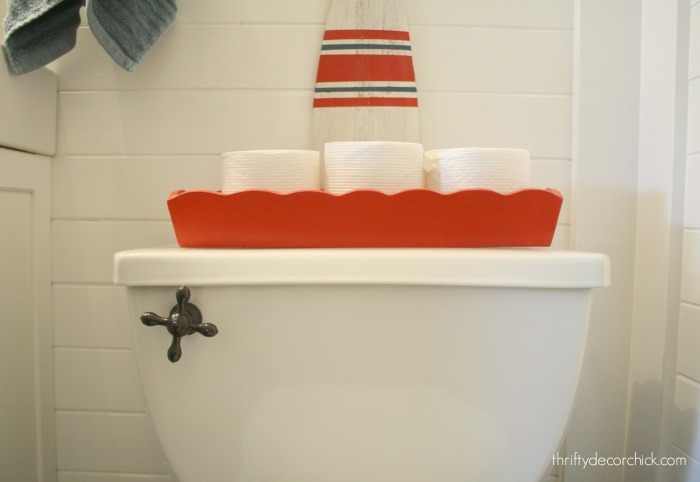 I am now on the hunt for a toilet handle like your powder room's. BTW, maybe it's just my dirty mind, but are the brass birds positioned 'a certain way' on purpose or by accident? LOL! Or perhaps it's just the angle of the photo? Anywho, just thought I'd point it out, haha! Ha! No, I didn't even notice that! 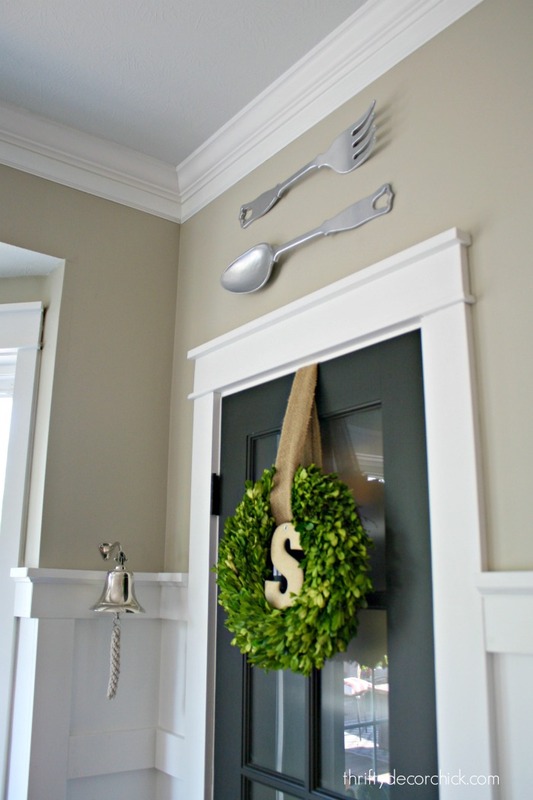 Please tell me how you got the fork and spoon to hang on your wall that way. I've tried mine with the Velcro strips but there not strong enough for them to hold up because of the curves on the fork and spoon. Thanks! Sorry, I meant to get back to you sooner! For both I used something called a disc hanger on the back of the wider end and then a nail in the other end. They are great little hangers. Great little projects!! 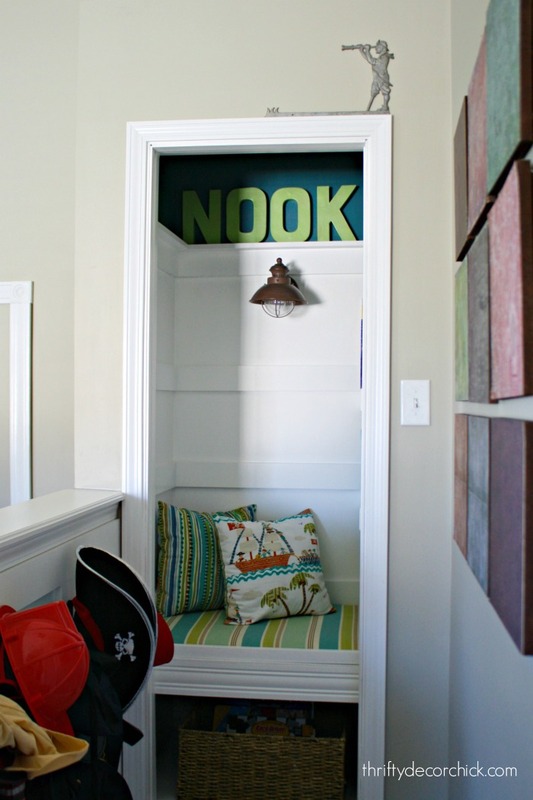 I love, love that reading nook, I would love to create one of those now and I don't have any kids!! So cute! I especially love all the little metal accents like the men/women bathroom signs and all the birds. My favorite quirky pieces are the ones that have a story. I have all sorts of things inherited from my mom and grandma, and I love the silliness and sweetness of seeing those things around my home. 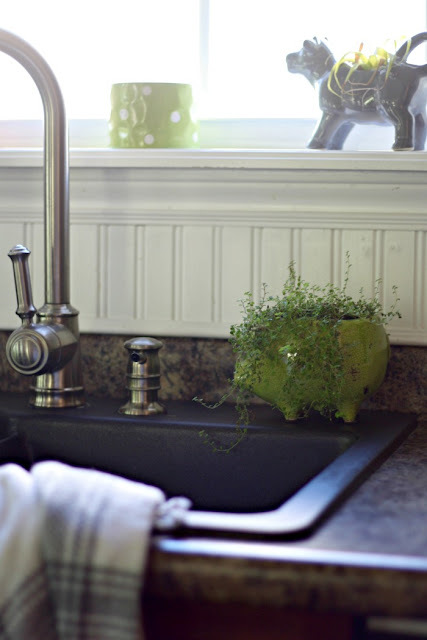 I think little pieces like this help your home tell your story, and I love that! Thanks for sharing! Sarah, I had to smile when I saw your little brass partridges. I received a set of those as a wedding gift when I was married in 1976! Mine are long gone...sold in a garage sale I suppose. I should have kept them! Love all your quirky touches but the bathroom signs would be one of my favs!! Love your blog and your decorating style. Absolutely! 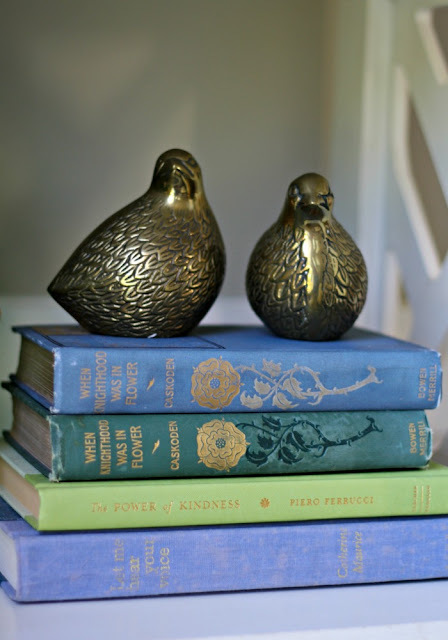 I love those quirky treasures that make a house YOUR home. I like to display 'treasures' from the past. A chinese checkerboard from my childhood hanging on the wall, my great-grandparents' picnic basket with an artificial plant spilling out (no watering in that basket), a small metal electric fan my mother-in-law used in her beauty shop for 50 years (still works). LOL, I think I've taken up enough space listing my treasures. Thank you for validating my quirky decorating style. Love your blog. 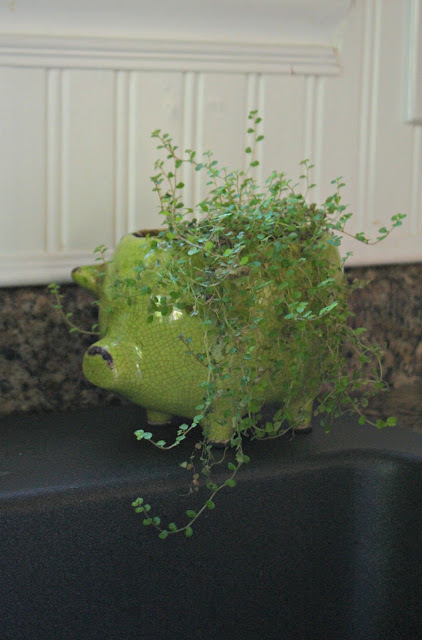 I LOVE quirky things in a home! It's what makes the house personal. I recently got a cow face painting. It makes me laugh every time I walk into the kitchen. Love this post! I am going to have to check out that store and pick up some bathroom labels :) We move in a month and I can't wait to start decorating! 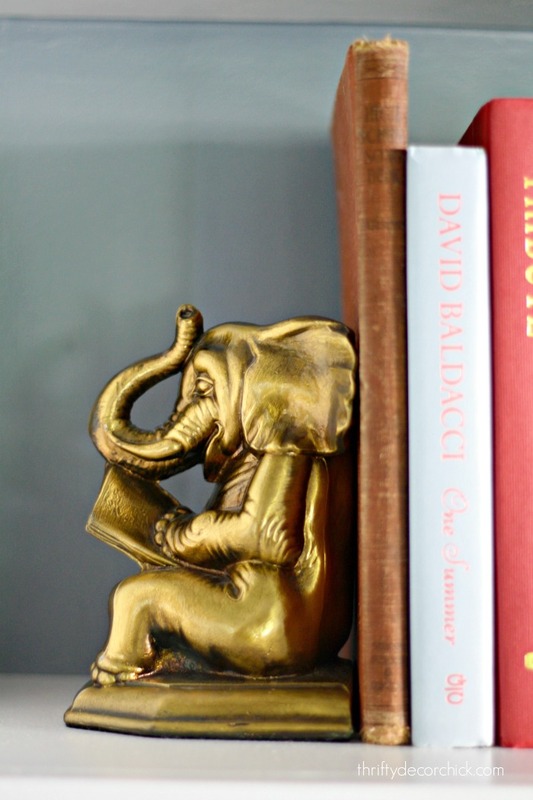 Those elephant bookends are the cutest things ever! Great post, I love all these items. I have a always admired the utensils in your kitchen. I'm big on stuff like this. I think they really add your personality to your home. Love your home!